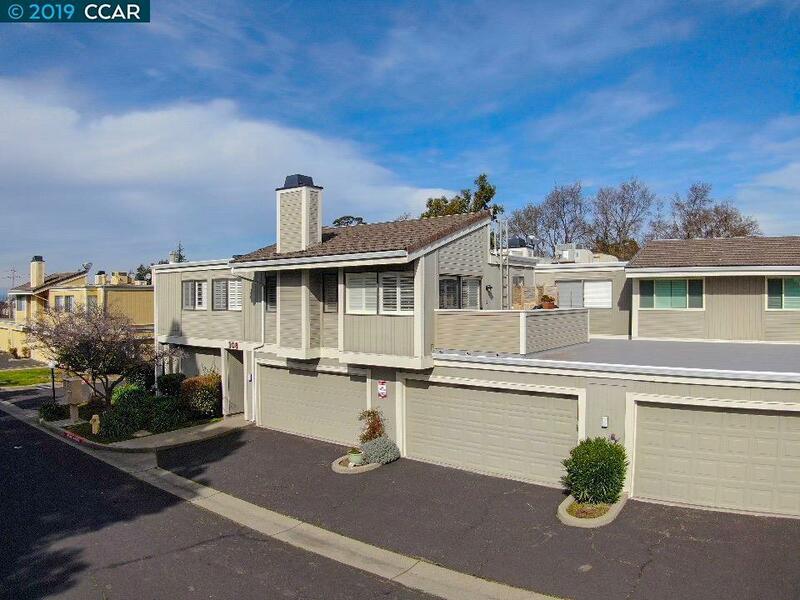 Lovely Olympian Hills Condo-IMPRESSIVE 1,134 S/F of Interior Living Space, two Story, vaulted heights. Two Story âTown-Homeâ style. This nicely appointed 2 Large Bedrooms with walk-in closets, 1.5 Bath Condo has all the warmth and comfort you would expect from a home. Large Living Room & Dining area with glass sliding door to Patio! Fireplace, Central Air, GRANITE Kitchen w/All Appliances, Ceramic Tile Flooring, Window Treatments, Fresh Paint. Inside Laundry, Two Car Detached Oversized Garage w/Opener. Skip & Jump to the Tennis Courts or Swimming Pool, Nature walks, Wildlife, Bay Views, Walking, Biking & Jogging Trails along the San Pablo Bay. Best of all it can be all yours! Call today for your private showing. Hercules, Lifestyle and Community at it's very best.